You may have noticed that leaks related to upcoming flagships like the Sony Xperia Z4 and the HTC One M9 are already surfacing at a steady rate now. The latter in particular, as it seems that alleged images depicting HTC’s next big thing are popping up almost on a daily basis. There will be plenty of other great smartphones arriving later this year, but today we’ll only be looking at these two because a lot of new info regarding them has popped up lately and it’s time to try and figure out how much of it is true. Right off the bat I’ll start by saying that neither the Sony Xperia Z4 nor the HTC One M9 have been officially announced, so all we have to go on at this time are rumors. However, rumors and leaks related to flagship smartphones have been surprisingly accurate lately and I think that this may be the case here as well. The predecessors of these two handsets made quite a splash last year, but as always, HTC and Sony are doing their best to provide their flagships with even more improvements and innovations. 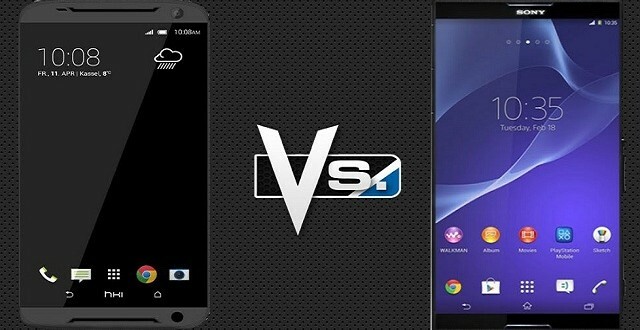 Word on the street is that both the Sony Xperia Z4 and the HTC One M9 will be upgraded with some of the best tech currently available, but one might prove to be a little better equipped than the other. Let’s find out which one. Judging by the most recent leaked images, the HTC One M9 will look almost identical to last year’s model. It’s no secret that the premium design of the HTC One M8 was one of its main selling points, so this decision was to be expected. That said, there are a few differences upon a closer inspection. These include thinner bezels and a smaller speaker grille, as well as a larger camera flash on the HTC One M9. In addition, the phone might also be somewhat smaller and narrower compared to its predecessor, although it’s a bit difficult to tell based on the current leaks. The display is also said to be coming in at 5 inches with 1080 x 1920 resolution, just like on the HTC One M8. An important difference will be that the HTC One M9 will likely come equipped with the new Corning Gorilla Glass 4 protective glass, which should make it much more resistant than the previous model. While the HTC One M9 is- rightly so – expected to look identical to its predecessor for the most part, the same can not be said about the Sony Xperia Z4 as well. Sony Mobile are well known for going with pretty much the same design year after year, but the situation could very well change this time around. A concept image of the device leaked back in December when Sony Pictures fell prey to hackers and it shows a very futuristic looking Sony Xperia Z4. The flagship will apparently appear as product placement in the upcoming James Bond movie Spectre, so the overhaul makes sense. James Bond can’t go walking around with just any old boring devices, right? The display is believed to remain at a manageable 5.2 inches, but the resolution will possibly be increased to 1920 x 2560. Already infamous features like water resistance and Triluminos technology are also expected to be available on the Sony Xperia Z4. Corning Gorilla Glass 4 should be a feature as well. The HTC One M9 will feature plenty of hardware upgrades, starting with the new Qualcomm Snapdragon 810 CPU. This is 64-bit octa-core processor @ 2GHz with Adreno 430 GPU is also expected to power most of the other Android flagships this year, so no surprises here. A bit unexpected are the 3 GB of RAM and the 2,840 mAh battery, if the rumors turn out to be true of course. While it’s clearly an upgrade compared to last year’s model, most people would agree that it’s not a very impressive one and that HTC can do even better. They will in the camera department at least, as the HTC One M9 is expected to pack a solid 20.7 MP sensor on the back with no UltraPixel technology this time around. The specs list will be rounded up by a 4 MP selfie shooter and 32 GB of internal storage memory with microSD card support good for up to 128 GB of additional storage. The HTC One M9 might run on Android 5.0.1 Lollipop, although it would be better to offer a later version if it becomes available by then because 5.0.1 is quite unstable. Moving on to the Sony Xperia Z4, we should be looking at the exact same Qualcomm Snapdragon 810 processor with Adreno 430 found on the other flagship, but complemented by 4 GB of RAM. This amount is expected to become standard for most 2015 flagship smartphones, so the Z4 is definitely up to par here. The camera will likely feature the very same 20.7 MP sensor found on the Sony Xperia Z3, however, we might end seeing some improvements to the technology behind it. But even if we don’t, cameras on Xperia Z phones have always been good and the Sony Xperia Z4 will likely do a good job at carrying on this proud tradition. Some other specs should include a 5 MP secondary snapper and 32GB/ 64 GB storage options with microSD card slot included. There are not a whole lot of details when it comes to the battery, but we should see at least a 3,000 mAh unit. The Sony Xperia Z4 will also run on Android 5.0.1 Lollipop or later straight out of the box. Both the HTC One M9 and the Sony Xperia Z4 are expected to be made official in March at the MWC 2015. As for the release date, the HTC One M9 is likely to be made available for purchase shortly after the announcement, which would be right on scheduled given that both the One M8 and One M7 were also launched in March. Meanwhile, the aforementioned Sony leaked spoke of May/November 2015 releases for the Sony Xperia Z4 phones. This could indicate a May release for the regular flagship and a November release for the Compact and Ultra versions. I guess we’ll find out more at the MWC. As for the price, all we can do is speculate for now and if I were to guess I’d say that the HTC One M9 will cost around $700 while the Sony Xperia Z4 should go for about $800. That said, this is just what I think HTC and Sony will charge for their new flagships so take it for what it is. Choosing between these two fine handsets will undoubtedly prove to be difficult for a lot of people as they both have a lot to offer. Choosing based on hardware at this point is becoming a bit meaningless since all the new flagships will likely run whatever you can throw at them without any problems. The deciding factors will likely be design, battery life, camera, and the user interface. The price is always worth keeping in mind as well. Between these two I would say that the HTC One M9 has a better chance on the market just because people already love what the HTC One M8 had to offer. 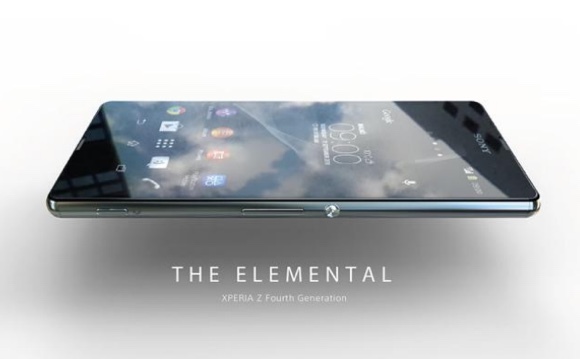 On the other hand, if the Sony Xperia Z4 ends up looking like something James Bond would use, I’m pretty sure many people will be pushing and shoving to get their hands on it. For now, my vote goes to the HTC One M9. What about yours? Next Game of Thrones: – Ep 2: ‘The Lost Lords’ first look trailer.